If you’re a company wanting to get your logo printed or engraved onto a USB Flash Drive, you want to be certain that you’re dealing with a reputable and experienced Promotional USB Flash Drive supplier. We’ve been manufacturing and branding USB Flash Drives since 2003 and over the last 12 years we’ve branded USB Flash Drives for tens of thousands of companies from all over the world. Our primary focus is the same now as it has been since our inception: our exceptional level of customer service. No matter how small or large the order, we strive to provide every single customer with the best possible service. But don’t take our word for it. Unlike many other branded USB companies out there, we publish our customer reviews direct to our website. This is all possible with the help of independent review platform Trustpilot – one of the largest and most respected review platforms in the world. Still not impressed? 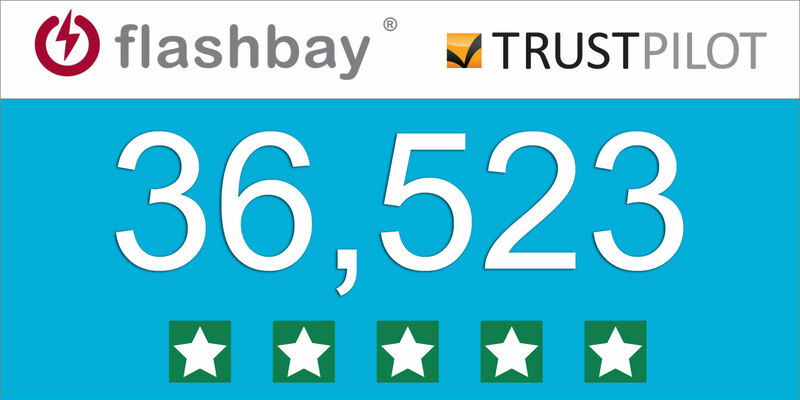 Here are some numbers; we started using Trustpilot in 2012 and since then we’ve amassed over 36,000 positive reviews from our customers across the globe. That’s an average of 14,000 reviews per year, 1,200 reviews per month or 40 positive reviews each and every day. We’re sure you will agree that these are some very impressive numbers. Simply fill out our Quick Quote form and one of our dedicated Account Managers will be in touch. The process is so quick that you could have your custom branded Flash Drives in less than 6 working days and you could be the next happy customer leaving us a positive review.